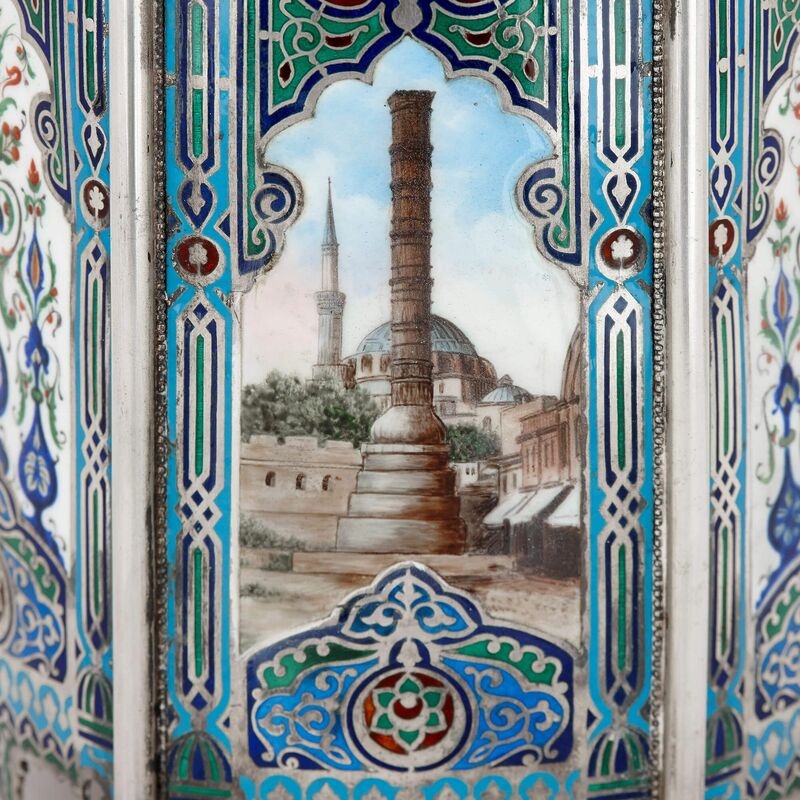 This exceptional Islamic silver vase is covered with colourful enamelled decoration and with paintings that celebrate the built heritage of Turkey. 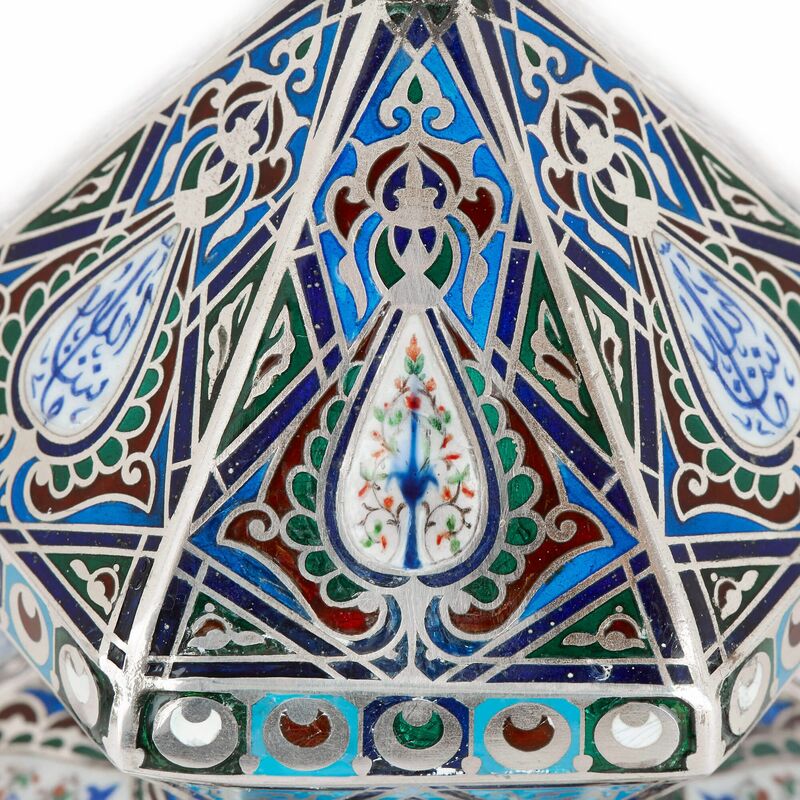 This rare and beautiful Islamic vase was created by a Russian craftsman for the Turkish market. 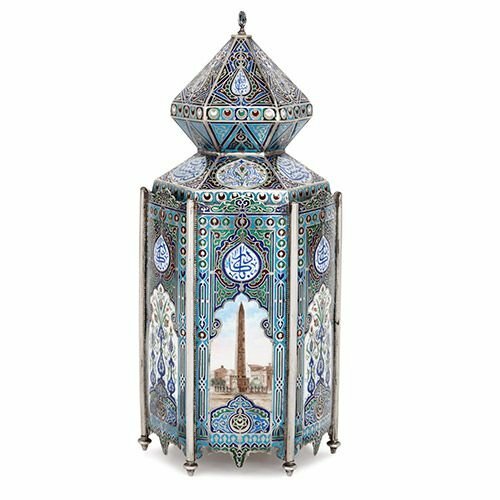 The vase is crafted in silver into an unusual hexagon shape, presenting us with six facades, each full of colourful enamelled decoration. 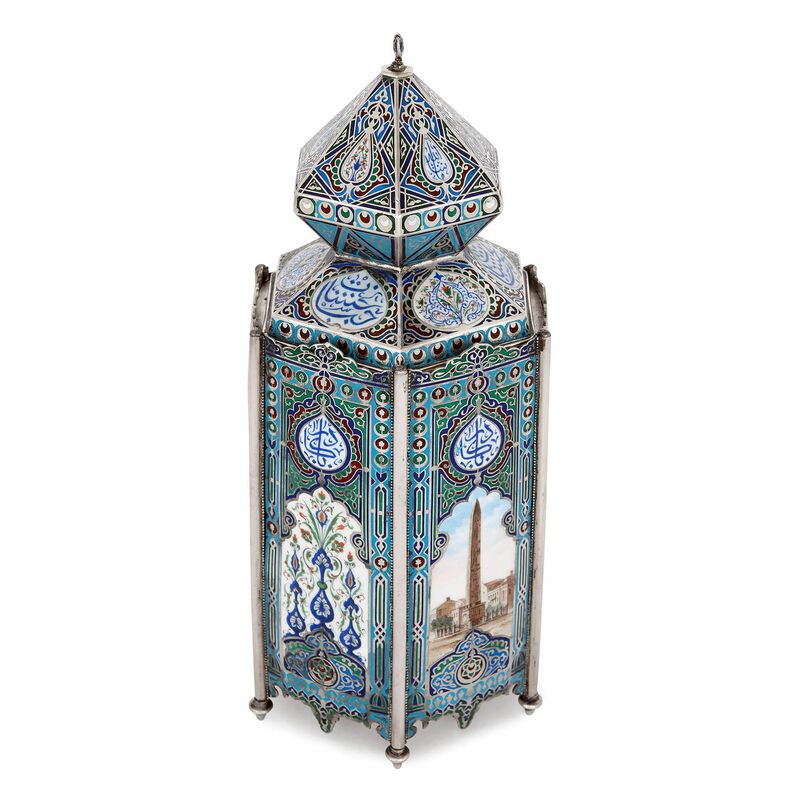 This hexagonal body is surmounted by a diamond-shaped lid, topped by a crescent moon and star, a popular motif for Islamic-inspired designs. 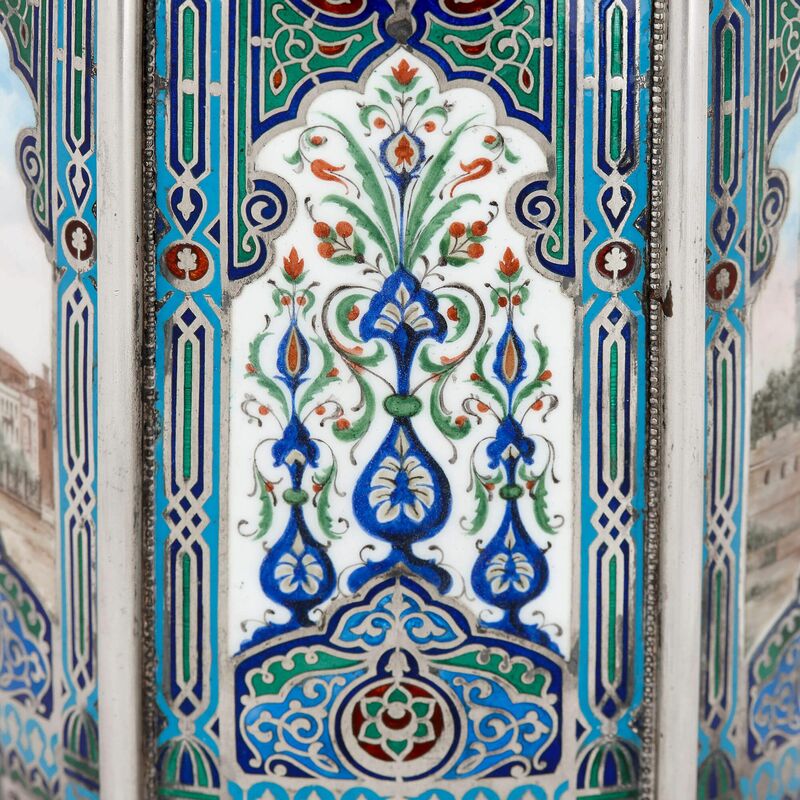 On each facade, there is a mihrab niche profile which contains either a decorative panel or a painted scene depicting a historic site in Turkey. 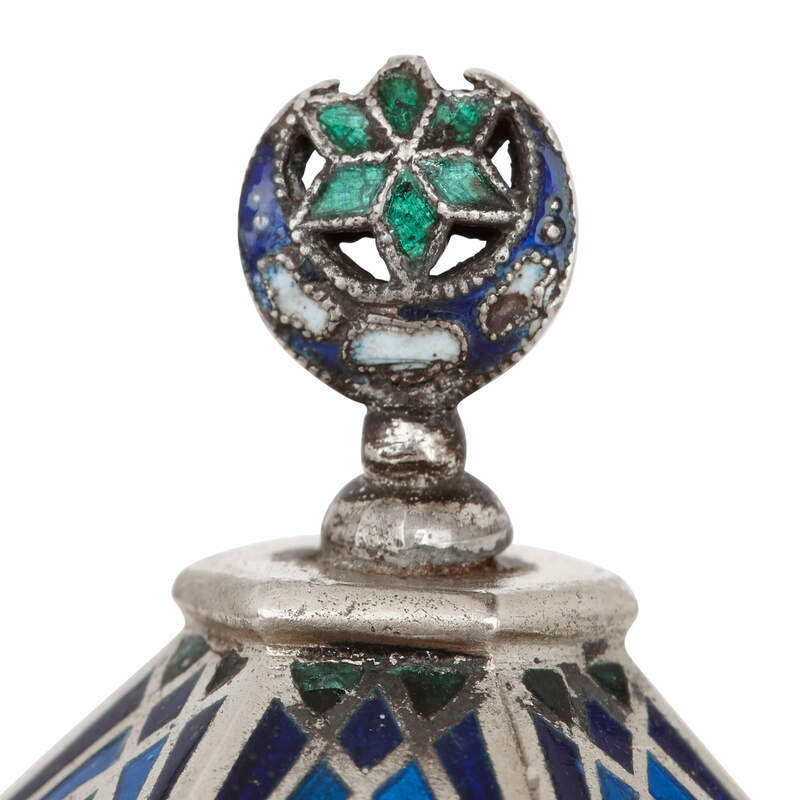 Above these are teardrop medallions of calligraphic Arabic script. These circles of text alternate on the upper tiers with decorative floral motifs. 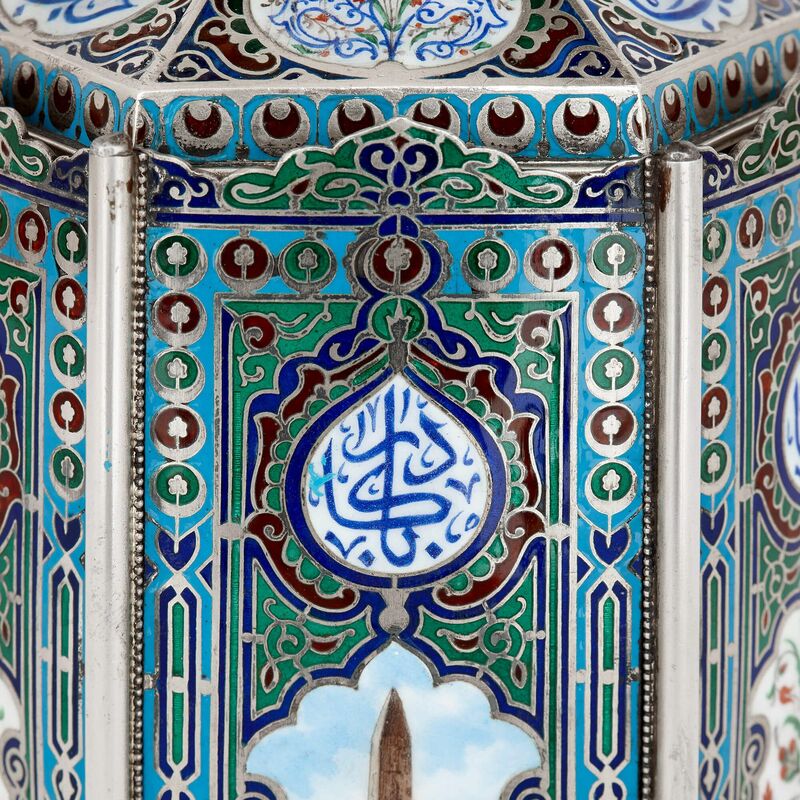 One of the facades displays a beautifully-painted scene showing the Column of Constantine standing before the Green Mosque of Iznik, which is distinctive for its single minaret. The Column of Constantine, commonly referred to as the Burnt Stone or Pillar, is of Roman origin, commissioned by Constantine the Great in 330AD. It marks the moment when Byzantium was declared the new capital of the Roman Empire. The Green Mosque of Iznik, built 1378-91, is widely celebrated as one of the earliest examples of an Ottoman style of architecture. Another exquisitely-painted scene shows the Obelisk of Theodosius, which is identifiable as such because of its hieroglyphs and famous bas-relief pedestal. Constructed by Pharoh Thutmose II, the obelisk was eventually transported out of Egypt and re-erected outside the Hippodrome of Constantinople, on the orders of Theodosius I. 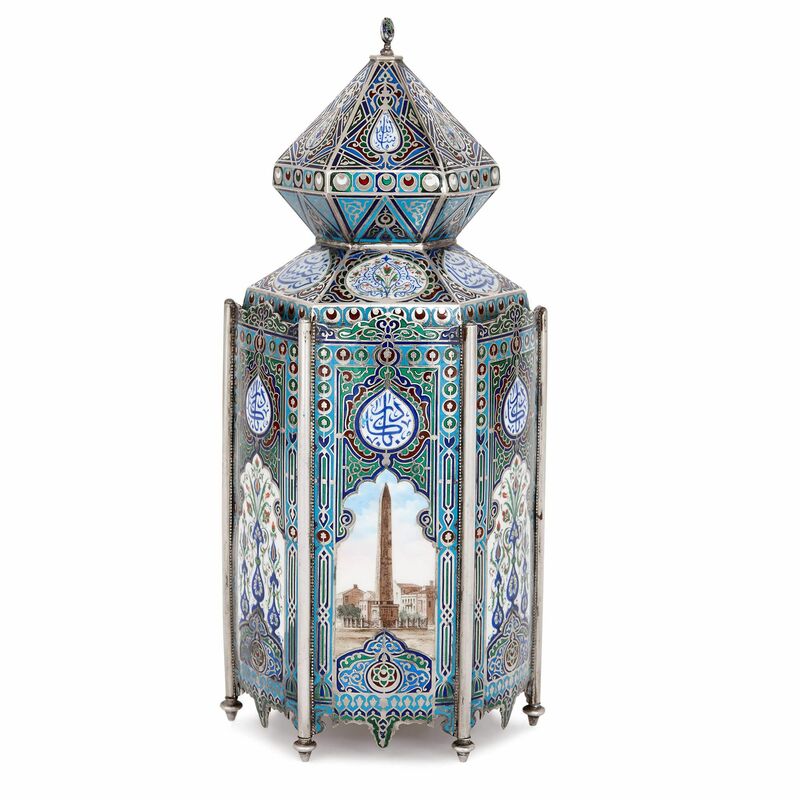 The third painted panel intricately depicts the Beyazit Tower, or Seraskier Tower, located on top of one of the 'seven hills' that Constantine the Great built the city of Istanbul on. The tower was built by Senekerim Balyan, who was commissioned in the early 19th Century by the Ottoman Sultan Mahmud II. 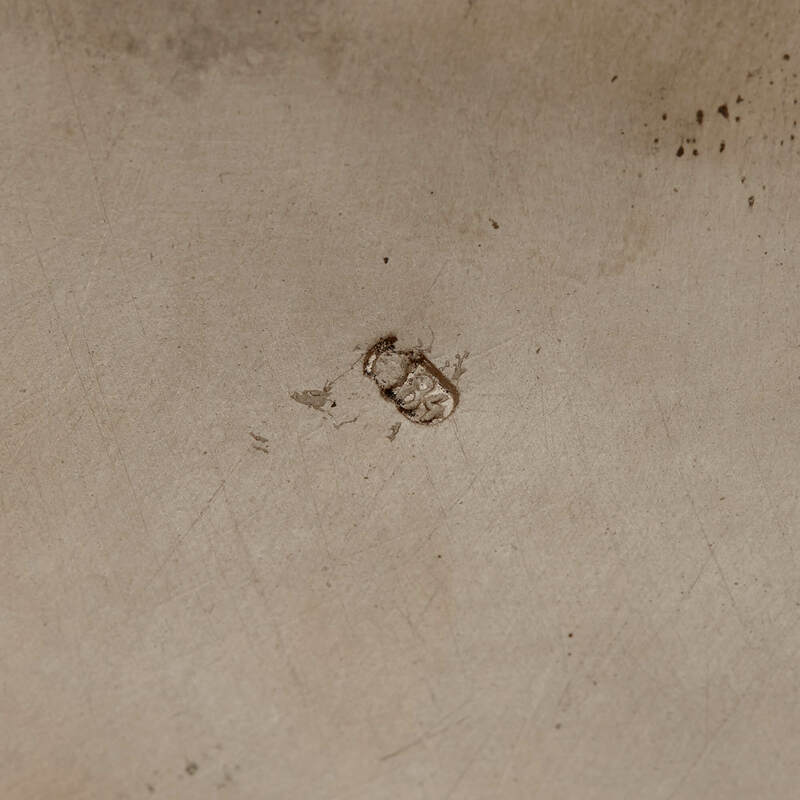 The interior of the casket is silver-gilt and there are makers marks on the underside of the base and on the rim of the lid. 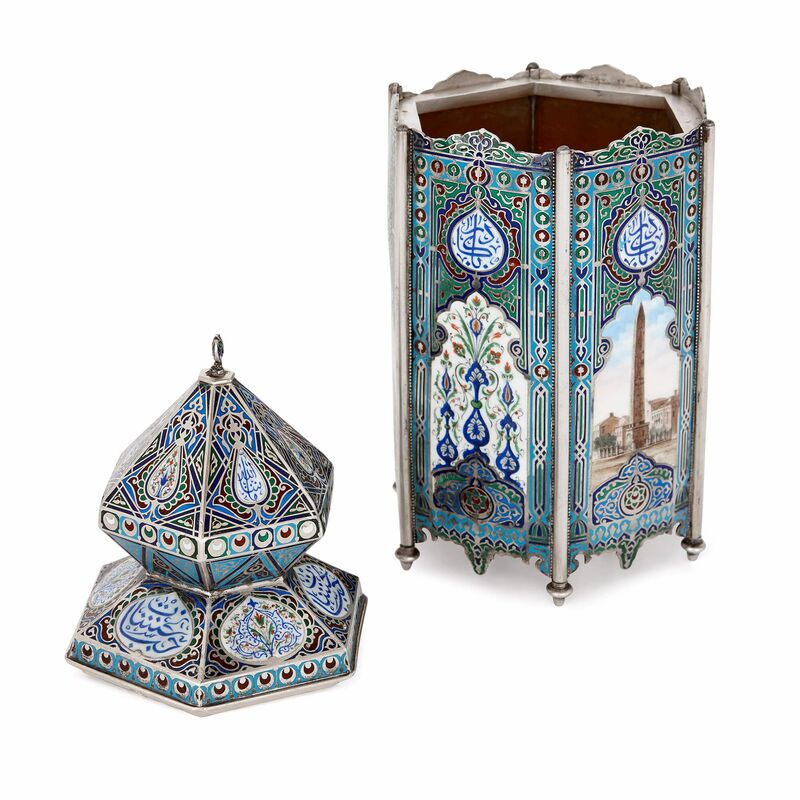 This vase is an extraordinary piece of craftsmanship that, in its decoration, enshrines the cultural history of Turkey.